The fishing town of Sant Carles de la Ràpita, located in the Terres de l’Ebre region in the south of Catalonia, sits on the peaceful waters of the naturally formed Alfacs Bay, and offers a spectacular and diverse picture of the Mediterranean. A stunning and unique place, the landscape here combines deserted beaches, the green rice fields of the Ebro Delta Natural Park, and the low-lying Montsià mountain range. Sea, delta and mountains meet here, enabling visitors to enjoy sun-soaked beaches as well as natural areas with important ecosystems which can be explored on foot, by bike, or by boat. And no visit would be complete without a walk around the fishing harbour which gives life to the sea-front. The fishing boats’ return to port every afternoon is quite a sight as they moor up and unload their catches. The fish and shellfish landed here provide local eateries with a varied and prestigious cuisine. Local restaurants, hotels and other tourist services aim, above all, for quality, and offer everything necessary to enjoy the sea, nature, mountain landscapes and gastronomy that La Rapità has to offer. The sports marina here offers a wide range of services for yachts and small cruise ships. There is a sailing school, boat hire, tug boats, dockworkers, drinking water supply, waste collection, taxis, and tourist information. The Moors built an Arab fortress (rábida) near the mouth of the river Ebro, and King Charles III once planned to build a city here that would have turned this then small fishing village into one of the grand ports of the Mediterranean. Over a thousand years ago, the Moors had already realised the benefits of living near the mouth of the Ebro, where the sea is calm and barely disturbed by waves and the land is sheltered by the natural port formed from the silt the river deposits here. That is why they built a rabida here, a small medieval fortress from which they could control trade and the vessels travelling upriver. Century after century, different fleets have moored here. In the 18th century King Charles III of Spain planned to build a city here that he hoped would become one of the great ports of the western Mediterranean. The plan failed, but you can still see traces of it today in the urban layout of Sant Carles de la Ràpita, a seaside town that is home to one of the most dynamic fishing ports in Catalonia and has become one of the most popular holiday resorts in the region known as the Terres de l’Ebre. Over twenty kilometres of quiet, and often unspoilt, beaches make Sant Carles de la Ràpita an ideal destination for visitors who want to enjoy the peace and quiet of the Terres de l’Ebre coastline. The town limits of Sant Carles de la Ràpita reach out into the Ebro Delta and around the Alfacs Bay. Over twenty kilometres of a variety of beaches means there is something for everybody. The Garbi and Delícies beaches are in the town itself and have flown the internationally awarded Blue Flag for many years, a sign of the sea water quality and the facilities on offer (showers, sun loungers, bars, first-aid posts, lifeguards, access for disabled people, etc). Fine golden sand and shallow calm waters make these beaches the perfect location for families with young children. As we leave the town centre, the beaches gradually become more deserted and wilder. The long sandy arm of the Delta, known as the Trabucador, is made up of unspoilt landscapes with low-lying dunes, and wild beaches which lie beside the natural park of the Ebro Delta. The Montsià mountain range, which forms part of the Areas of Natural Interest network in Catalonia, offers a magnificent vantage point over the Ebro Delta and the inland plains around San Carles de la Ràpita. There are many attractive hiking routes to try out here. The Montsià mountain range rises up parallel to the coast near the Ebro Delta and, as such, offers a magnificent lookout point over the Mediterranean and the inland plains. The highest point is the peak of La Torreta, although one of the most charming spots is La Roca Foradada. At more than 650 metres above sea level, this gap in the rock face opens up a natural window looking over Sant Carles de la Ràpita and the Alfacs Bay. The most frequently used route to reach this spot is the Mata-redona track that starts out next to the Sant Carles de la Ràpita football field and takes you through bushes and low Holm-oak trees over a limestone terrain of great beauty. A landscape carpeted with wild vegetation, such as Kermes-oak trees, dwarf palms, rosemary, and gorse, which sketches the jagged curves of the mountains. The Montsià mountains, with their ecological importance, are included in the Catalan Plan for Areas of Natural Interest. In recent years various trails have been cleared and signposted for hiking and mountain biking. Sant Carles de la Ràpita offers all kinds of activities for a family holiday, including walks along the beach, bike rides, an introduction to bird-watching, kayaking, archery or rock-climbing lessons. The shallow calm waters of the Alfacs Bay make the beaches of Sant Carles de la Ràpita some of the safest in Catalonia for families with young children. Local tourist firms also offer many activities to keep children of all ages amused. The flat landscapes of the Delta make it ideal for easy cycling routes suitable for the very young. There are also educational workshops where you can learn the basics of bird-watching, as well as the chance to take up archery classes, rock climbing, or try zip line rides. For those who prefer water sports, kayaking or sailing trips provide a perfect opportunity for all the family to enjoy themselves in a safe environment. Sant Carles de la Ràpita is considered the best town for sea-food in the Terres de l’Ebre region. Dearly-held traditions and modernity come together in this corner of the Mediterranean where the sea provides the basic ingredients for local cuisine. The quality of its seafood and the excellent service and facilities offered by local restaurants have converted Sant Carles de la Ràpita into the best place for sea-food in the Terres de l’Ebre. The triple-grooved shrimp is one of the most well-known and liked local catches. It is an excellent ingredient in the elaboration of many dishes, but its qualities are best-appreciated in a simple traditional recipe: salted grilled shrimps. The Alfacs Bay is also one of the largest mussel and oyster producing areas in Catalonia. These can be enjoyed in numerous ways; seasoned with sauces, breaded, cooked à la marinière, or au gratin. The wide range of delicious dishes on offer are often based on local products such as rice grown in the Delta, olive oil from the local olive groves, and wines from the Terra Alta region further inland. All of these foods bear the quality D.O. label which guarantees their local origin. Local food producers and restaurants have come together to set up an association (Col·lectiu de cuina de La Ràpita/Delta de l’Ebre) which guarantees the excellent service and quality they provide, all rooted in local cooking traditions. Professional attitudes, the pursuit of a quality service, and a firm commitment to their clients and the environment are the common characteristic features of the tourist services which have joined forces to set up the Sant Carles de la Ràpita-Ebro Delta Nautical Centre. This association of public and private bodies provides a network of wide-ranging services with a guarantee of quality and prestige. This new concept of tourism and leisure activities is based on three key points; sea, sports – sailing, diving, kite-surfing, windsurfing, kayaking etc – and a variety of other outdoor activities such as cycling, walking and rural tourism.  The Nautical Centre guarantees its commitment to the needs of every visitor as well as the fragile eco-systems around Sant Carles de la Ràpita, and plants a tree in the Delta for every booking made. A gentle sea breeze and shallow calm waters make the Alfacs Bay an ideal and safe place to try out sailing sports. The Nautical Centre offers a wide range of services for these activities. Would you like to take up sailing? Or do you fancy trying kite-surf, paddle surf or kayaking? The Alfacs Bay is perfect for enjoying all kinds of outdoor water sports in complete safety. The gentle waves and shallow waters of the bay mean that you can set up your equipment and start out the activity in ideal conditions of comfort and safety. The Trabucador beach is one of the most popular beaches in Catalonia for people trying out, or doing more seriously, these kinds of sports: kite-surfing, windsurfing, sailing, kayaking, water-skiing and so on. Several local firms rent out the necessary equipment and provide classes to suit all levels of ability. The new Marina at Sant Carles de la Ràpita has extended the water sport harbour with 1,176 new moorings and other useful facilities: boat repair workshops, cranes, ramps and jetties, fuel pumps, showers, restaurants and many other services.